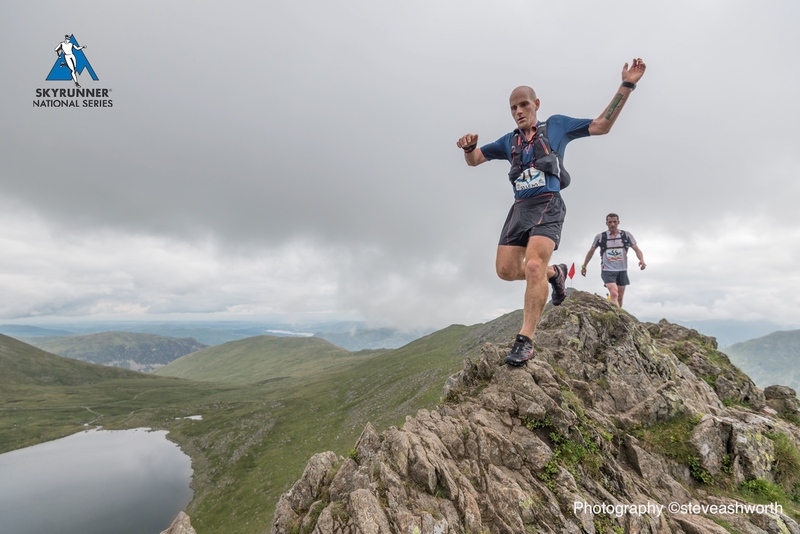 Skyrunning once again came to the English Lake District with the 2nd edition of the Lakes Sky Ultra, part of Skyrunning UK’s National Series of races. Top mountain runners toed the start line alongside a few European runners who had been lured away from the Skyrunning World Championships organized by the ISF (International Skyrunning Federation) in Spain for this epic and extreme mountain race. 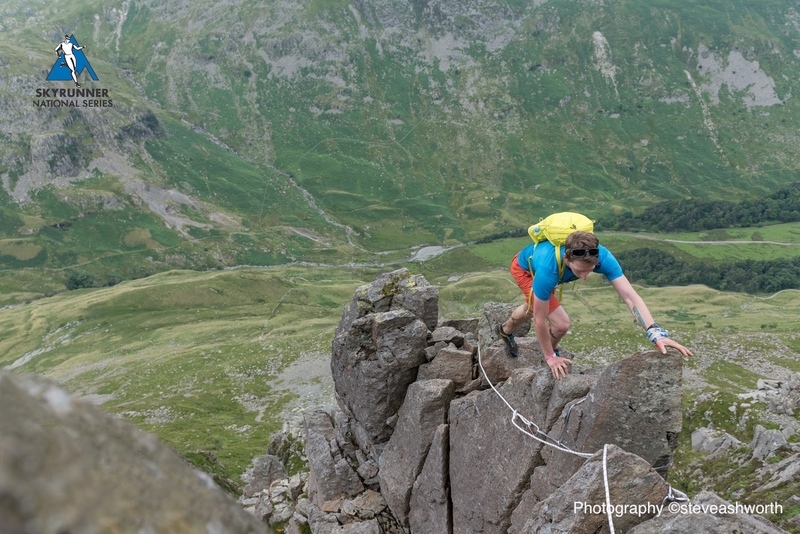 Donnie Campbell, from Scotland, continued his winning streak to take another record after already smashing the Highland Fling and Keswick Mountain Festival 50km Ultra Trail earlier in the year. The 2nd and 3 places fell to a local Ambleside runner Neil Talbolt and Ally Beaven from the Scottish Highlands. In the ladies’ race, International Mountain Runner, Sarah Ridgway, who holds the record from 2015, came back fitter and faster to set a ‘hard to beat’ record and smash her own time from the previous year by over 25 minutes and set a new record on the full course, which makes it even more impressive, in a time of 08:39:41. 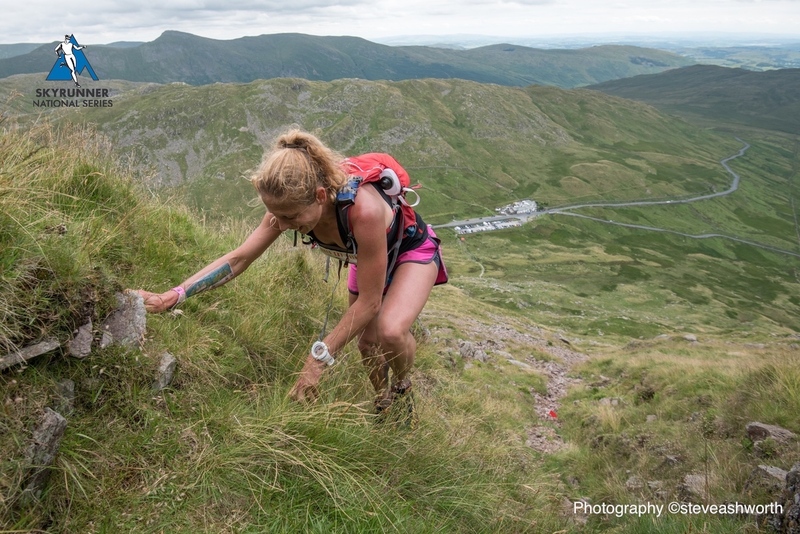 Sophie Grant placed 2nd & 3rd place to Katie Bowden who took the 2nd place in the recent V3K in Wales, the 1st ULTRA of the Skyrunning UK National Series. The Lakes Sky Ultra follows the true routes and ethos of Skyrunning which was created on the slopes on Monte Rosa, Italy by ISF President, Marino Giacometti in the late 80’s. 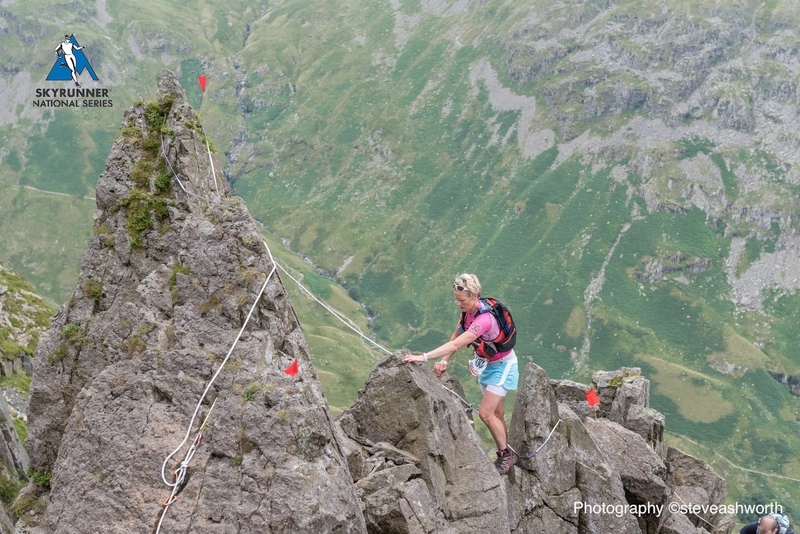 Next race on the Skyrunning UK National Series is the Peak SkyRace which takes place in early August. 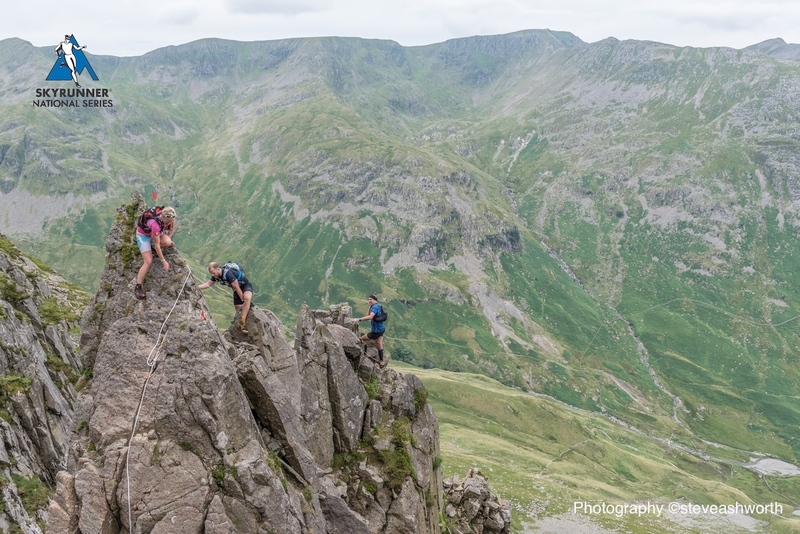 This entry was posted in Uncategorized and tagged charlie sproson, climbing, donnie campbell, isf, lakesskyultra, lsu, mountain roped sections, sarah ridgeway, Skyrunning, skyrunning in the uk, steve ashworth, via ferrata. Bookmark the permalink.